When is it time for a professional to look at your finances and help you set goals for the future? Maybe right now. Even if your net worth is, shall we say, unimpressive. “There’s this stigma that you need a million dollars to invest to work with a financial adviser,” said Shannon Pike, vice president of Tanglewood Legacy Advisors and the 2017 president of the Financial Planning Association. According to Pike, the financial planning industry is evolving to meet a wider range of customer needs. A certified financial planner’s focus is more holistic, he said. They look at the intersection of your life and your money. Not exactly running out to hire a financial planner? We know, it’s not that easy. Here’s what you need to know about these professionals and what they do with your money. 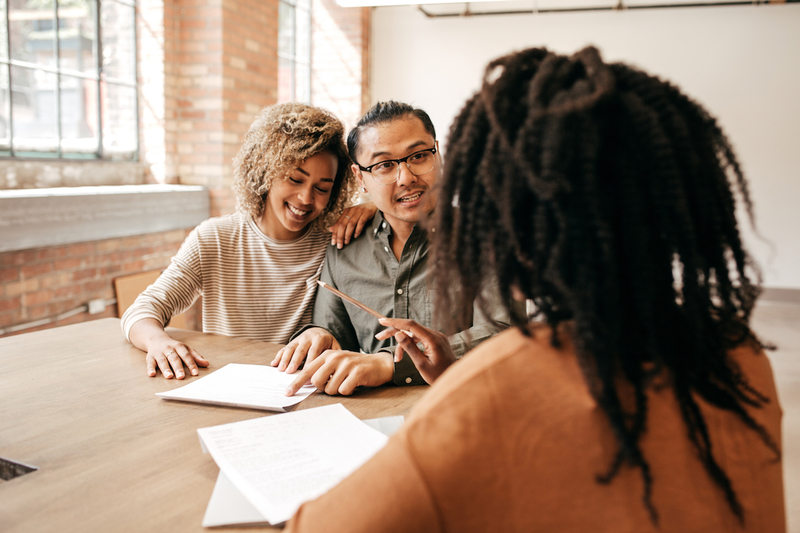 While someone who’s referred to as a financial adviser may be a certified financial planner (CFP), you can’t assume all financial advisers are CFPs. A CFP has gone through extensive training, either in a degree program or a nontraditional setting, before sitting for an exam. They also typically need three years of experience before they can be deemed a CFP. If you see the term “financial adviser,” check the person’s qualifications. “In our own membership, you’ll see a number of people who are CFPs but just use the ‘financial adviser’ title,” said Geof Brown, CEO of the National Association of Personal Finance Advisors. It can be confusing for consumers, but some of that confusion comes from financial planners using terms familiar to their customers, he said. While an investment adviser will focus mainly on your investments, certified financial planners practice comprehensively. They consider everything from investments to budgeting and cash flow, risk management and insurance coverage, estate planning and retirement, taking a broader look at your financial life, your goals and objectives, Brown said. How Do I Pay a Financial Planner? There are three ways a financial planner can get compensated: fees, commissions or a hybrid of both. It’s an important distinction due to recent focus on the fiduciary duties of people who help you with your finances. A new fiduciary rule, which is now scheduled to take effect in July 2019, specifies that financial professionals, including investment advisers and CFPs, must act in the best interest of the customer. The rule prevents pros from pushing investment funds or other products that pay them commission simply for the sake of their own earnings. Someone who works on the commission model won’t sit behind a desk wearing devil horns and waving a pitchfork, but you’ll want to do further research before engaging in a relationship with them. Brown said there’s a “disconnect” with the commission model. “How can I be serving you but basing recommendations based on what’s going to pay me the highest commission? That’s a sales relationship, rather than an advisory one,” he said. If you interview someone who won’t disclose conflicts of interest or commission-based product relationships, that’s an egregious red flag. The tricky part about understanding the fee-based compensation structure is that there are several options for that, too. You might pay a percentage of the assets your CFP manages, which Brown said typically ranges between 0.75% and 1.25%. You might pay a flat fee or retainer based on how complex your accounts are and what your net worth is right now. And some financial planners charge by the hour. If you have a simple portfolio — maybe a 401(k) at work and some student loan debt — and just started gathering your financial ducks, it may only cost a few thousand dollars to establish a relationship with a financial planner and start working toward initial goals. If you have two cars, two houses, a boat and a business, well, this more complex portfolio will probably cost you more. I Think I’m Ready for a Financial Planner. What Now? The National Association of Personal Financial Advisors, Financial Planning Association and the CFP board all offer location-based and speciality search tools to help you explore the financial professionals in your area. A lot of CFPs will work with you on a particular issue, like cash flow, budgeting or debt, or provide a specific service you need if you’re not ready to go all-in on your financial planning. Some financial planners provide estimates of common service costs on their websites, while others won’t get into costs until you meet face to face or by phone. If they don’t offer a free consultation, that’s a red flag, Pike said. Who are your clients? Do you typically work with clients like me? What’s your experience? Are you certified? How often would we communicate? Do I always communicate with you, or is there a team I might work with? What if I invest with your help? Is that charged different from your planning services? Do you have any conflicts of interest I should know about? “Interview a few of them,” Pike said. He advises against choosing someone to work with simply because they charge the least. “Compensation is important but shouldn’t be the ultimate driver of who you work with. Work with someone you feel is qualified,” he said. What About Online Financial Planning Services? Are They Legit? They’re just as legit as the online budgeting tools you use. As with any online tool or service, you just have to do your research. Online financial planners and virtual services have cropped up to meet consumers where they are (looking at you, global movers and shakers). The XY Planning Network specializes in in-person and virtual financial planning for younger people. LearnVest, a millennial-focused firm, offers support for $19 per month after you pay a $299 setup fee. Online financial planning services may have limited offerings, which explains the easier-to-swallow pricing. As you review options, be sure to select a virtual advising service that offers the services you care about most and are most likely to need as your net worth grows. You can also find the virtual convenience of an online financial planning service with a local CFP, Pike says. There are planners who serve clients across the country using tools like virtual conference rooms. “A lot of baby boomers move and don’t want to lose their adviser,” he said. Pike said you’re not giving up control of your finances when you work with a financial planner; you’re getting an advocate. “If you can find an advocate you can confidently connect with, that’s a relationship worth growing as long as you’re comfortable with it,” he said.